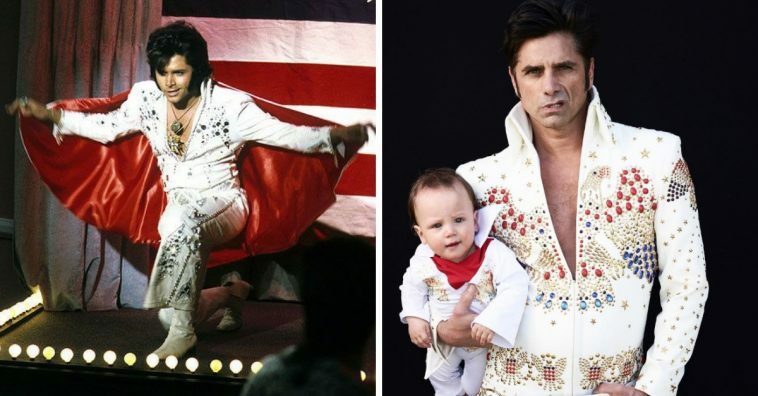 John Stamos recently shared a photo of himself and his son, Billy dressed in matching Elvis Presley costumes. The post was celebrating Billy’s first birthday. John married Caitlin McHugh last February and soon after they had little Billy. This is John’s first child. John captioned the photo, “One year ago tonight, our little King was born.” They are both wearing Elvis inspired costumes in the photo, similar to the one that Elvis wore in his concert special “Aloha From Hawaii.” They both seem to be doing classic Elvis facial expressions as well, even one-year-old Billy! How cute is he? John’s Fuller House co-stars also seemed to love the photo. This photo reminds us of John doing an amazing Elvis impersonation on the show Full House in the ’80s! 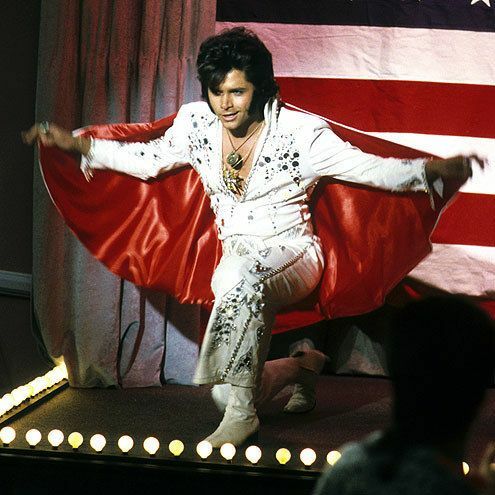 Do you remember when Uncle Jesse (John Stamos) dressed up as Elvis on the show? Do you hope that he will recreate this on Fuller House? 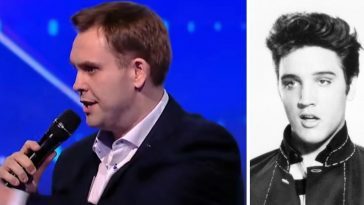 It seems that John is a huge Elvis fan. 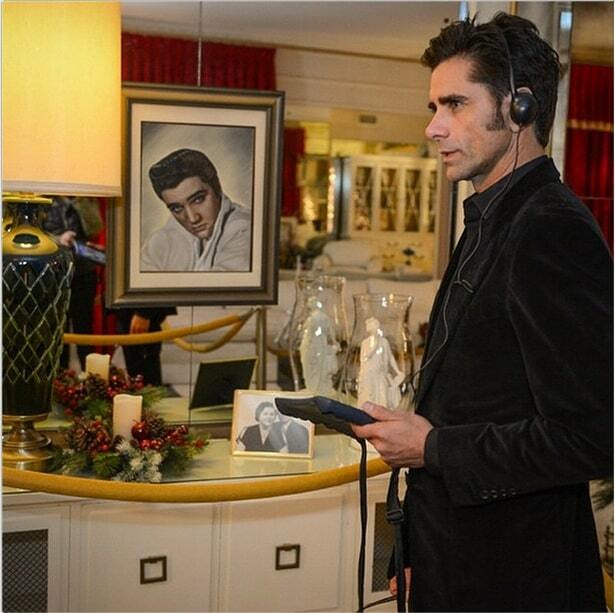 His voice is even featured in the iPad tour of Graceland (Elvis’ home that is now a museum). He has been to Graceland to turn on the holiday lights as well. 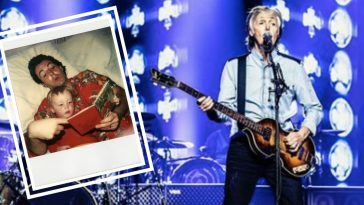 When he switched on the lights, he wore Elvis inspired sideburns to celebrate! 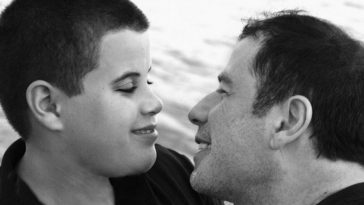 It is so sweet that he is sharing his love of Elvis with his son Billy! It seems like Billy may be a huge fan in the future as well. 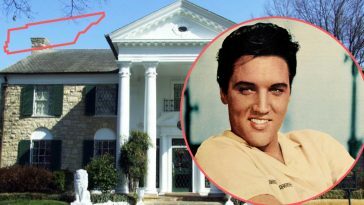 We can’t wait to see the photos of his first trip to Graceland. Sowing the seedlings of love. 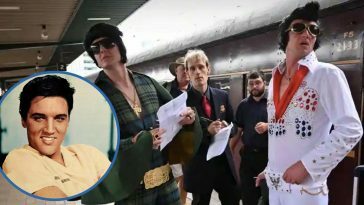 What do you think about John and his son Billy dressing up like Elvis for Billy’s first birthday? Are you a big Elvis fan as well? If you enjoyed this article, please SHARE with your friends who love John Stamos and Elvis Presley!